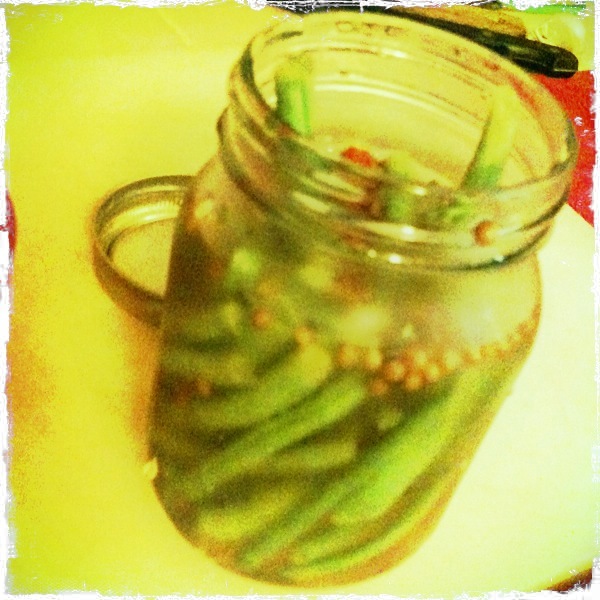 This entry was posted in cooking, food, Uncategorized and tagged dilly beans, lavender syrup, pickled beans, pickled dill cucumbers, pickled green beans, pickles, pickling, zydeco beans. Bookmark the permalink. I agree. I have made this recipe several times. I follow the Joy of Pickling exactly, except I have sometimes substitute apple cider vinegar for white wine vinegar, or mixed them. The word I use to describe the flavor is: shocking. It is a bull rush of flavor. With the first taste from my first batch, I was a little turned off for about 15 seconds. But after that 15 seconds, my mind said … MORE.. This is a pickle to crave. I think only spicy pickled okra can compete.